When you’re in need of batt insulation to help improve the energy efficiency of your home in Woodstock, Georgia, turn to 31-W Insulation. We have more than 40 years of experience providing residents throughout the southeastern United States with the home improvement services they need. Our expert installation specialists are ready to help you, too, and can install top-of-the-line insulation from leading manufacturers such as CertainTeed and Owens Corning® that are known for producing effective and long-lasting products. Better air quality – Insulation traps dust and allergens, blocking them from entering your home and contributing to cleaner air inside your home. Less noise pollution – Batt insulation has sound dampening qualities which means less noise from outside will be able to infiltrate the peaceful environment inside your home. Greater energy efficiency – Because it reduces heat transfer, insulation keeps the warmth in during the winter and out during the summer, which lessens the strain on your HVAC system. In turn, this can lead to savings on your energy bill month after month. More comfortable temperatures – Insulation helps distribute an even temperature throughout the house for a more comfortable environment. If you’re ready to get started enjoying the benefits of a properly insulated house, contact 31-W Insulation today. 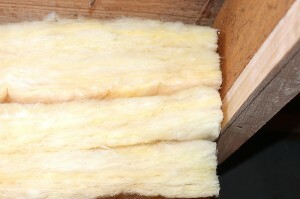 We proudly install batt insulation for residents in Woodstock, GA, and the surrounding communities.